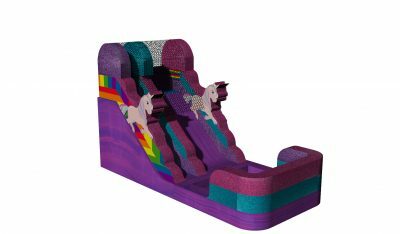 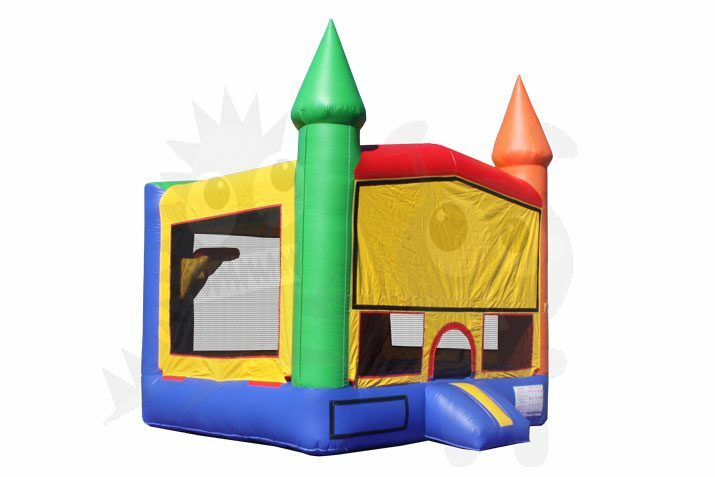 Add more color to your event, with the colorful Rainbow Module Castle Jumper! 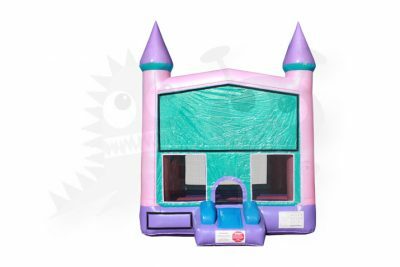 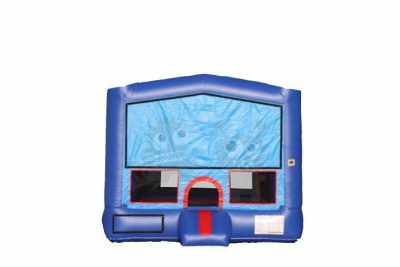 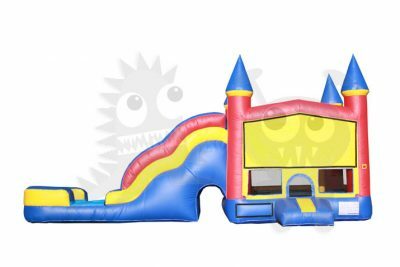 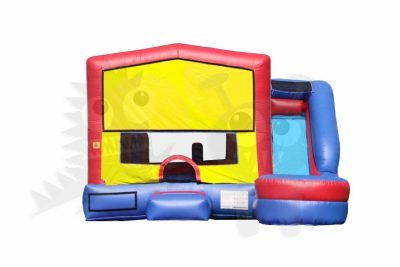 This inflatable for sale jazzes up the traditional castle bounce house by adding more color variety to its color scheme! 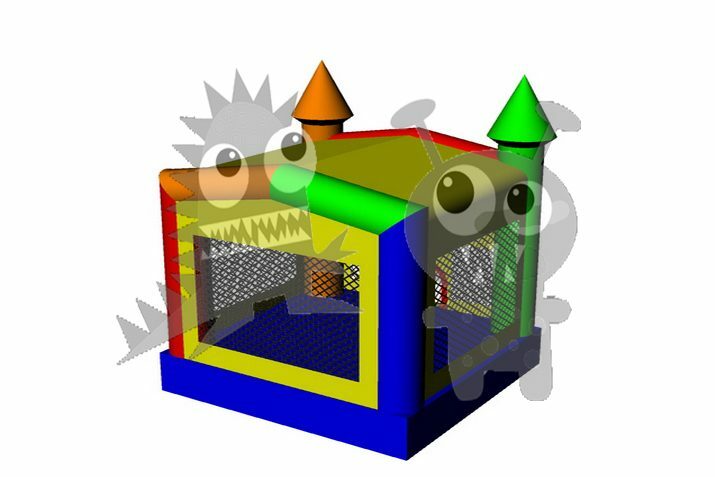 The orange, red, yellow, and green reflect the colors of autumn, making this jumper perfect for any fall festival! 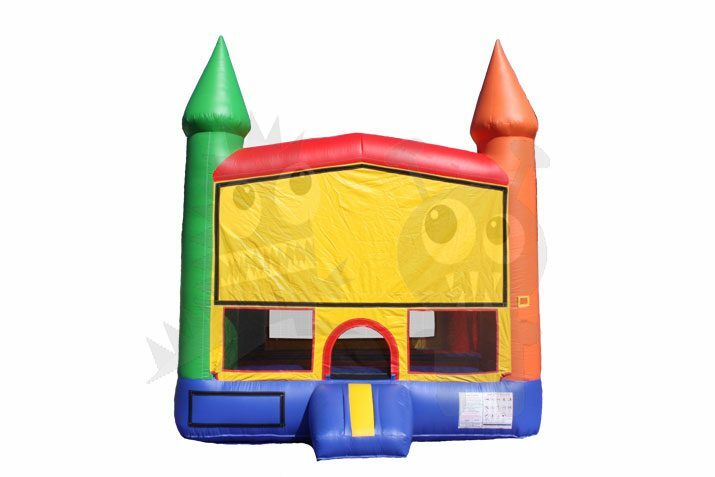 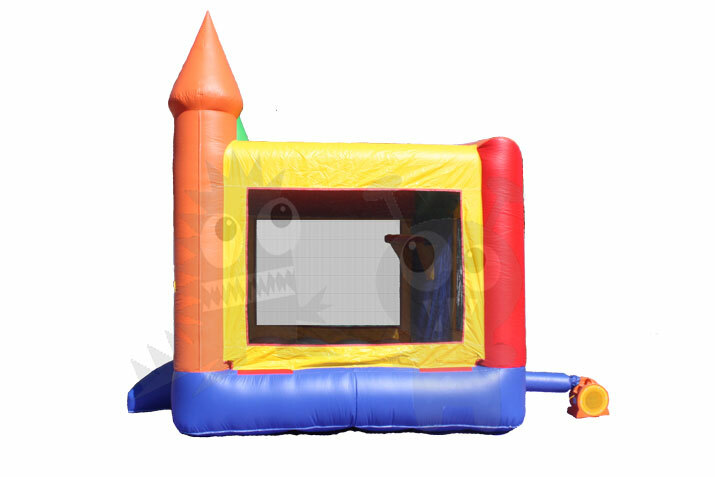 The BOU-65 is a 3-D Rainbow Castle bouncer that is great for your inflatable rental business. 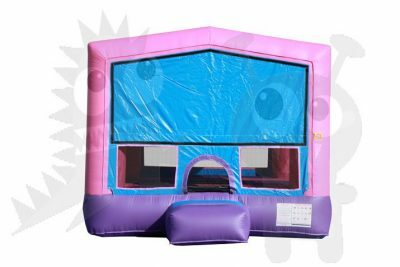 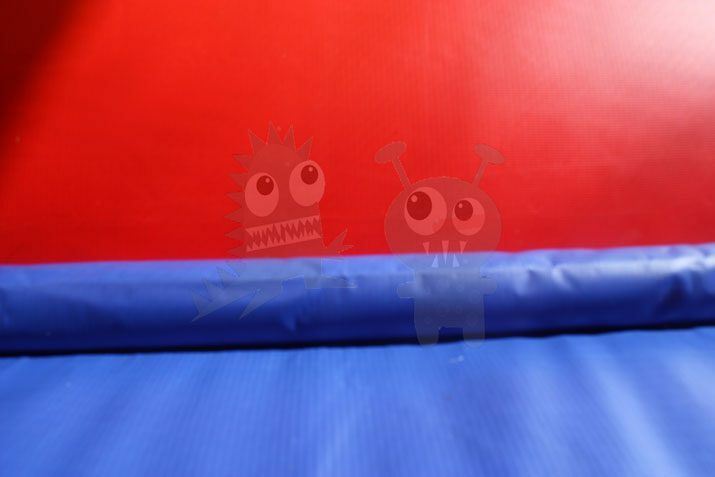 On the inside is the spacious bounce area of 169 sq. 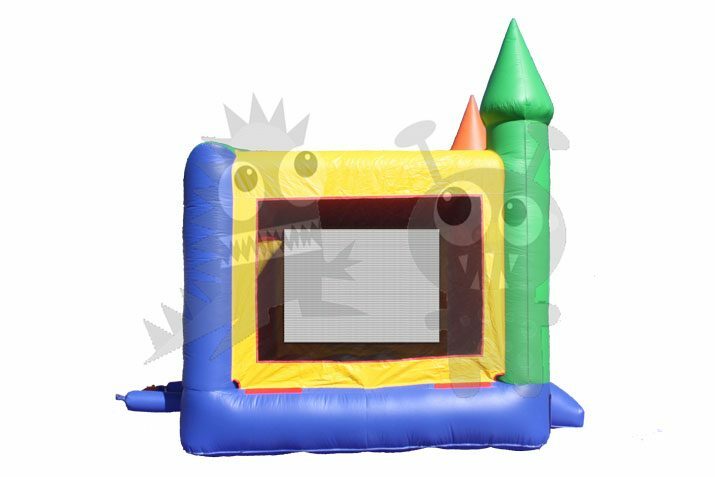 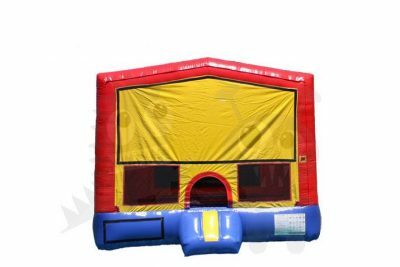 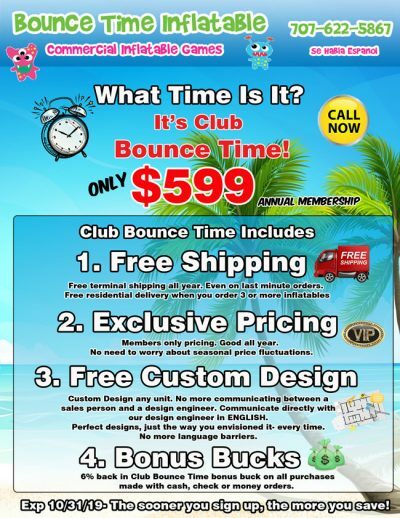 ft. and includes an inflatable basketball hoop inside for kids to slam dunk with any standard size basketball. 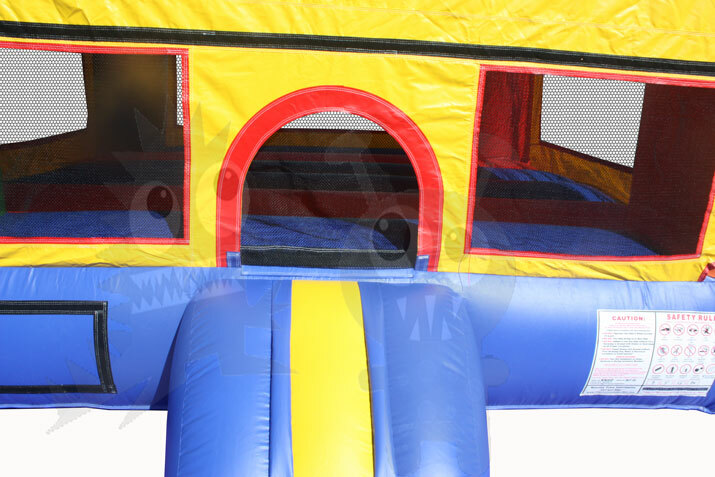 The jumper is a colorful rainbow color scheme of yellow, red, green, orange, and blue vinyl. 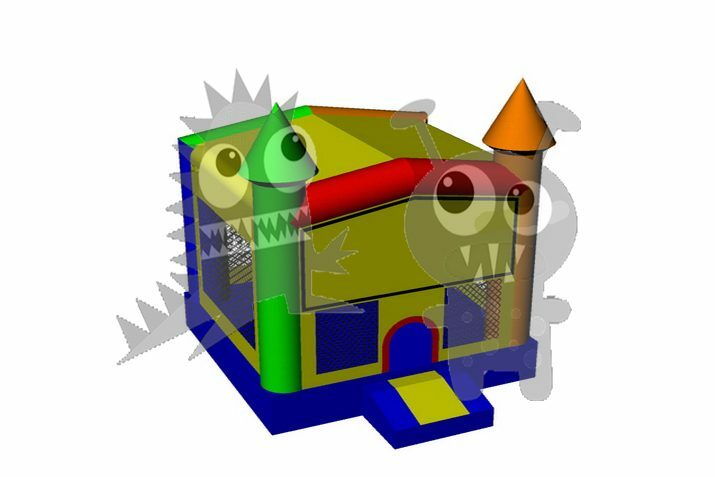 It also has two marvelous 3-D castle spires on the front of the unit that everyone will love! 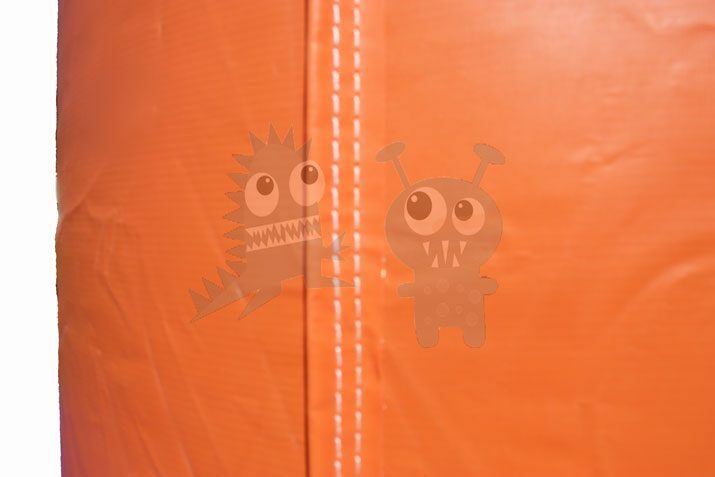 On the front of the unit is a Velcro panel that can accommodate any standard medium-sized art panel. 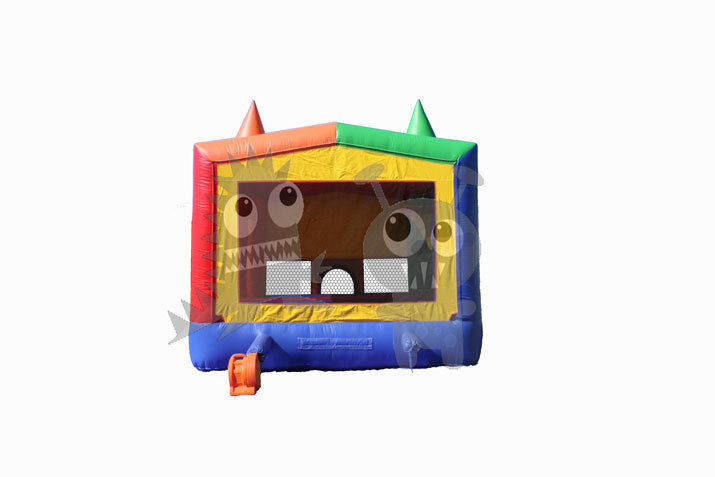 Customize the bouncer to fit any themed celebration. 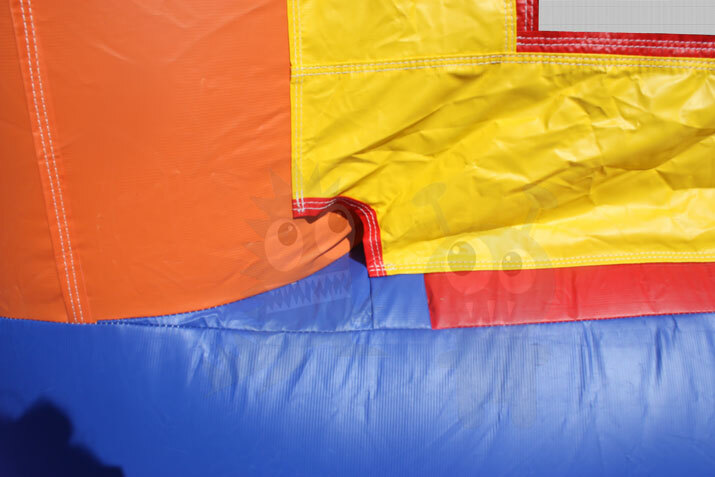 Hooking up the blower to the unit is hassle free! 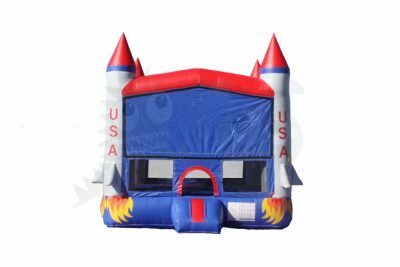 The BOU-65 features two blower pipes on opposite sides on the back wall so you can choose the pipe nearest to your electrical outlet.